It’s an amazing neighborhood, the price is right, but is the house your dream home? That’s the ultimate question and there’s no one correct answer or even a single way to determine that. Ultimately, a mix of listening to your emotions and turning to the facts will help you paint a clear picture of what life would be like in this new house. Below are a few tips for determining if the home you really like is the one that you’ll love forever. The way you react when you see and walk through the home is an important indicator of how you feel about the home. Pat Trainor, a REALTOR® in Blue Ridge, Ga. told Forbes that he knows a house is a good fit when people start talking about furniture as they’re touring the house. “I believe that most buyers form an impression in the first few seconds after they walk into a house. Is this a happy house? Or does it depress me? Notice how you respond—and trust your reactions,” explains Trainor. If you’re looking at a number of houses, jot down what you felt as you walked through immediately after you leave. These notes will be helpful as you look back and compare emotions with features, needs-met, etc. Ask Yourself: How much of my “priority list” is compromised? 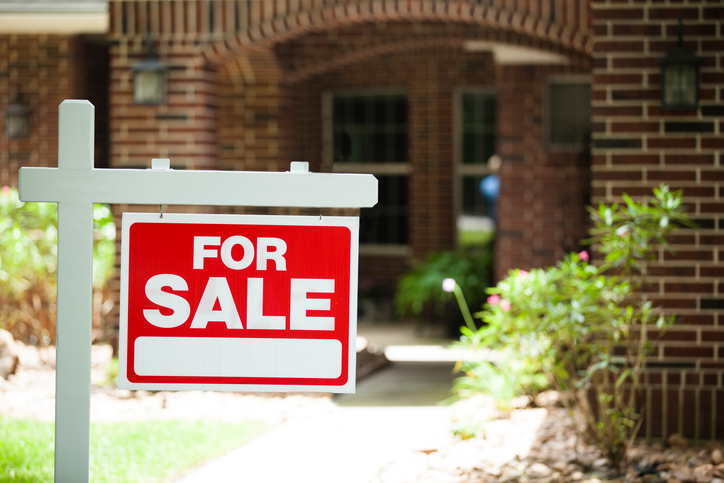 You have a list of non-negotiable items going into the house-hunting process. From number of rooms to floor plan, how many items can you check off your list? If you find that you’re compromising on more than half of the items that matter most to you, it may not be your dream home—even if you love the style or location. Buying a home is emotional—stressful, frustrating, exciting, scary, and more, all at once. When deciding if a potential house is your dream home, it’s important not to get too wrapped up in the emotion and take time to check out the data. You can’t deny the facts and the following tools will help you get them. How will the home appreciate? Use this home appreciation tool to see how much it will appreciate based on the listing price. Is the home accessible? What’s the Walk Score of the home? If you want to be close to stores, retailers, restaurants and parks, look for a Walk Score of 70 or above. Is the house over-priced? Use this Home Value Estimator tool to get five value estimates from leading sources, like Zillow. Is the house priced appropriately? Is the area loud? Get the Soundscore of your potential dream home—the heat mapping technology will allow you to see how loud or quiet the area is. Public transportation—school buses too; Do they come to the neighborhood to pick up the kids? Commute to work—Is there a lot of traffic in the morning or at night? Finding your dream home isn’t easy, but when you tune into your emotions, check out facts and stay true to your list of needs, the process is easier. Use these tips to make the best decision and find the home you’ll love forever. It’s often time fairly easy to let your love for a home let you go over the budget. However, it’s best to set emotions aside and be realistic when looking for your new home. Great post Jessica! Great helpful awareness for the buying dream house. Getting House attached with two emotions one is Excitement and another is stressful decision time. Nice to read this blog. thank you.